Semeniuta M.F., Gryshmanov D.E. On the Application of Graceful Labelling in MPLS Networks. P. 3-11. Kalmykov V.G., Sharypanov A.V. Segmentation of the Experimental Curves as the Implementation of Unknown Piecewise Smooth Functions. P. 12-18. Palagin A.V., Petrenko N.G., Malakhov K.S. Information Technology and Integrated Tools for Support of the Smart Systems Research Design. P. 19-30. 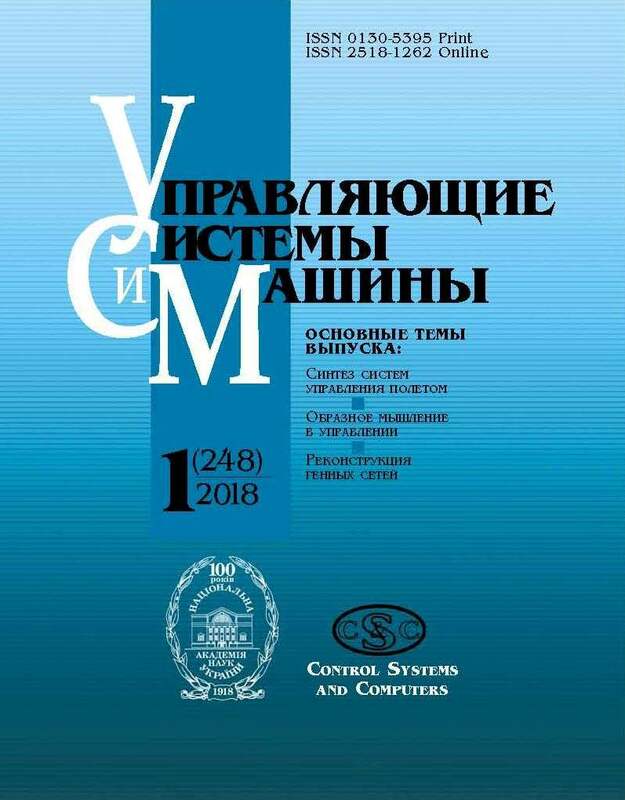 Vodolazskiy Ye.V., Latiuk S.A. Bloking Modification of Gibbs Sampling for Recognition of Hidden Markov Fields . P. 31-41. Babakov R.M., Barkalov A.A. Reduction of the Maximum Number of Significant Input Variables in the Microprogram Finite State Machine with Datapath of Transitions. P. 42-50. Oursatyev A.A. Big Data. Analytical Databases and Data Warehouse: Teradata. P. 51-67. Moroz O.G. Analysis and Application of the Genetic Algorithms for Global Optimization Problems. P. 68-79. Voiter A.P. Effectiveness of Adaptive Management of Packets Length in Radio Networks of the Data Transmit. P. 80-86. Kuznietsova N.V., Biduyk P.I. Identification of the Fraud Risk During Tender Purchaser by Survival Theory Methods. P. 87-96.